I dunno about you, but I think I found the perfect little treat for brisk fall days, using some of the best foods fall has to offer. Like apples. And cinnamon. And oatmeal. And caramel. And and and, I dunno. It’s just amazing, you guys. 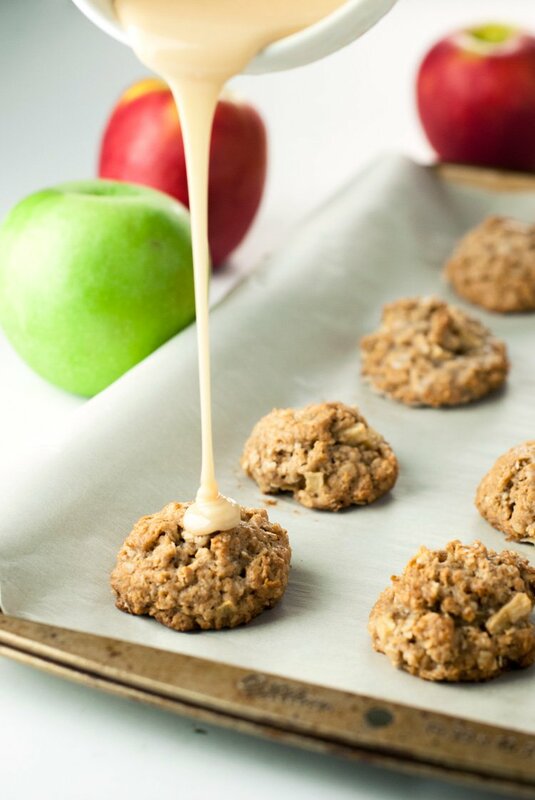 What doesn’t sound amazing about Caramel Apple Oatmeal Bites? Nothing. Not a damn thing. Cause amazing. I had a lot of fun making these because they are so unlike regular cookies. 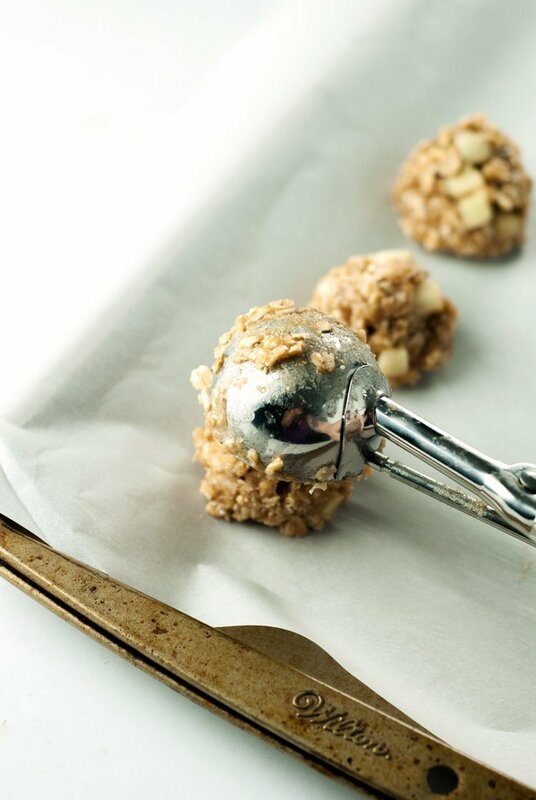 They are super sticky, which means utilizing a cookie scoop is pretty much necessary. Unless you like having the oats stuck to every inch of your hands. Whatever floats your boat, I guess, ha. I mean, I love to knead certain types of dough, but sticky just kind of gets me a little weird. Dunno why. It just does. Like when I grab some ice cubes but my hands are just slightly wet and the ice sticks to my hand? Ohmigod it’s like nails on a chalkboard for me. Can’t stand it. I freak out. Thankfully, touching these doesn’t involve ice. And I have the cookie scooper, soooooo all is well with the world. 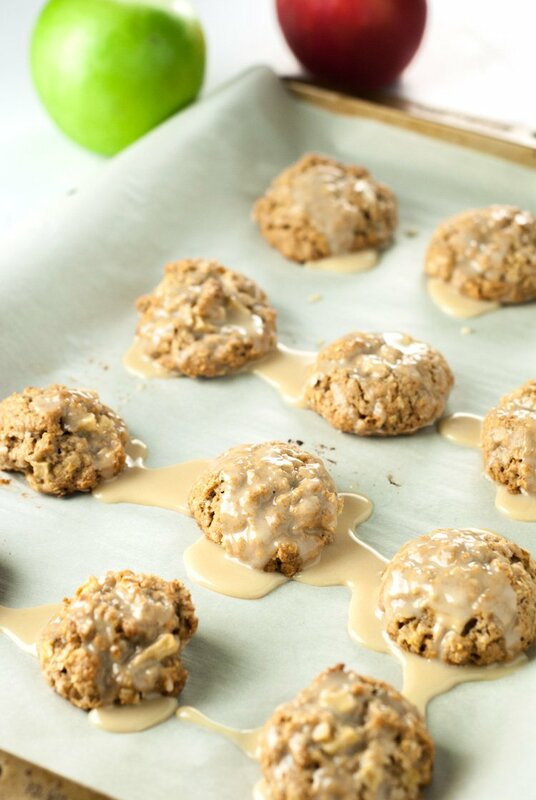 And this caramel apple oatmeal bites come together in just about 5 minutes, take only 15 to bake, and are ready to eat just minutes later. It’s like food on demand. But better. Cause it’s homemade. That’s what I’m talkin’ bout, Willis. Are you connecting with me on Facebook? Because I have a fun little video that goes with this recipe, so you should head over, check it out, and gimme a like while you’re there. And maybe share the video too? Cause you love me? Totally willing to beg right now. Totally. 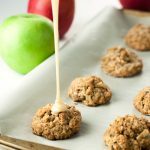 In a large bowl, combine the oats, flour, sugar, baking powder, cinnamon, nutmeg, and salt. Stir thoroughly. In a small bowl, whisk together the egg, canola oil, vanilla extract and caramel sauce until thoroughly mixed and smooth. Pour the wet ingredients into the dry and stir until all the ingredients are moist and sticky. Add the apples and stir gently. 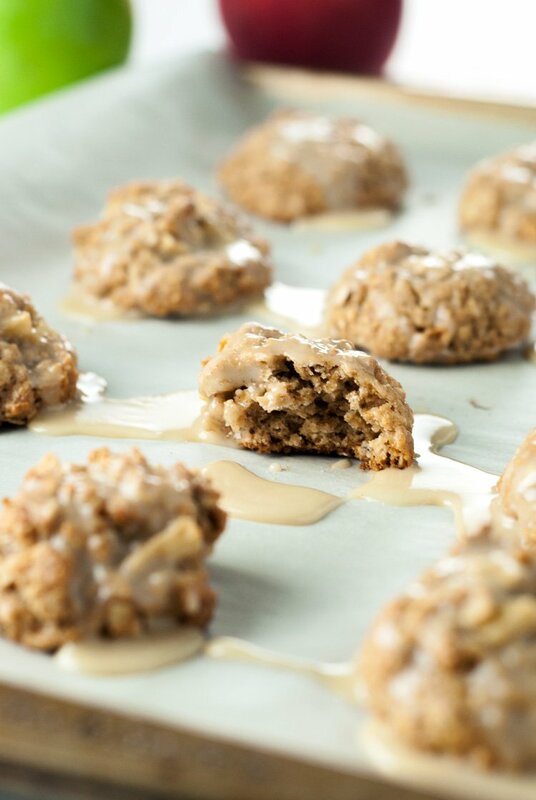 On a baking sheet lined with parchment paper, scoop out the dough using a cookie scoop, spacing each cookie 2 inches apart. Bake for 15 minutes, or until golden brown. Cool on a cooling rack. In a small bowl, combine the glaze ingredients and whisk until all the powdered sugar clumps fall apart and the glaze is smooth. 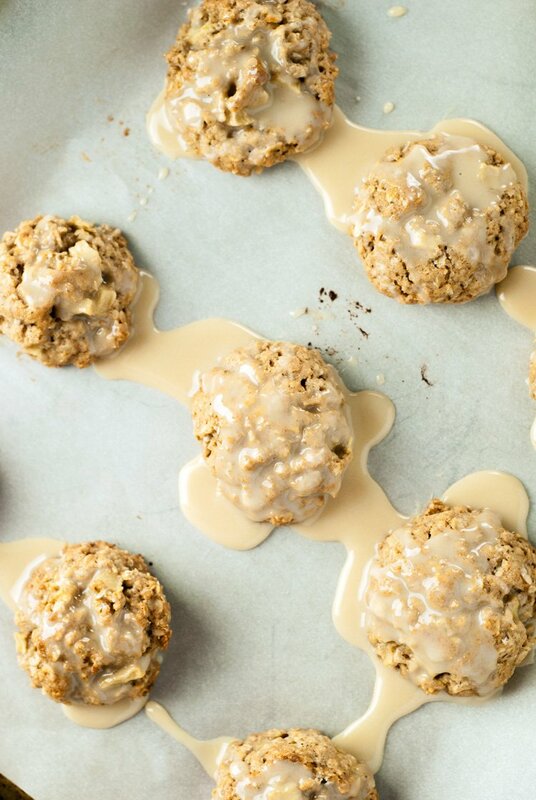 Drizzle over the oatmeal bites and serve immediately. These sound and look delicious but what is caramel sauce?